Though he is best known as a comedian, Alexander Armstrong has also established himself as one of TV's favourite presenters and game show hosts. As a comedian, he was famously one half of Armstrong and Miller, with Ben Miller. 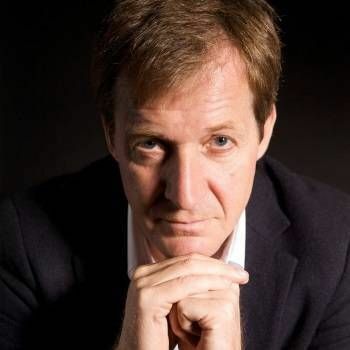 Currently, he is the presenter of the highly popular BBC quiz show Pointless. He also frequently guest hosts on the BBC’s Have I Got News For You. Like a number of other famous British comedians, Alexander started his comedy career whist at Cambridge University, writing for the Footlights Revue in his final year. After moving to London, he was introduced to Ben Miller. In 1996, Armstrong and Miller performed at the Edinburgh Festival Fringe and were nominated for the Perrier Award. They subsequently starred in four series of Armstrong and Miller (1997 to 2001) and three series of the BAFTA winning The Armstrong and Miller Show (2007). In 2010, Armstrong took The Armstrong and Miller Show on tour in the UK, completing 62 dates. 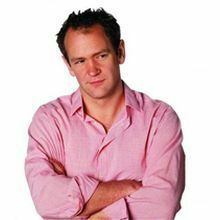 Other TV presenting roles have included Alexander Armstrong’s Big Ask, Epic Win, Best of the Worst and Don't Call Me Stupid. Alexander has also starred in numerous TV dramas, including Love Life, Life Begins, Mutual Friends and, more recently, in Julia Davis’ comedy Hunderby. He also voiced Professor M in Tooned and alien supercomputer Mr Smith in the Doctor Who spin-off The Sarah Jane Adventures. In 2013, Armstrong put his own band together to cover a range of material from jazz to rock to pop classics. Armstrong is the vocalist in the band and sings all the material. Hugely popular on the corporate circuit, Alexander is much in demand for Awards Hosting, Conference Hosting and After Dinner Speaking. To book Alexander for your event, contact Prime Performers Booking Agent via the online booking enquiry form or alternatively call 020 7251 8222.